At KetoVie we provide safe, reliable, effective, and convenient ketogenic formulas for the dietary management of intractable epilepsy (difficult to control seizures). But we take it a step further with our advanced formulations that include a unique blend of key ingredients to address many of the challenges we face on ketogenic diets. 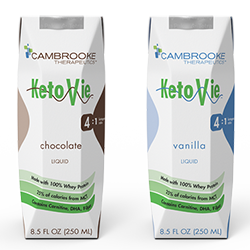 KetoVie works closely with ketogenic diet experts to offer solutions with multi-nutritional benefits so your experience on ketogenic therapy can help you reclaim your everyday.